Gilanizadeh, M., Zeynizadeh, B. (2016). Facile Conversion of Epoxides to 1,2-Diacetates with NaOAc•3H2O/Ac2O System. Iranian Journal of Chemistry and Chemical Engineering (IJCCE), 35(1), 25-29. Masumeh Gilanizadeh; Behzad Zeynizadeh. "Facile Conversion of Epoxides to 1,2-Diacetates with NaOAc•3H2O/Ac2O System". Iranian Journal of Chemistry and Chemical Engineering (IJCCE), 35, 1, 2016, 25-29. Gilanizadeh, M., Zeynizadeh, B. (2016). 'Facile Conversion of Epoxides to 1,2-Diacetates with NaOAc•3H2O/Ac2O System', Iranian Journal of Chemistry and Chemical Engineering (IJCCE), 35(1), pp. 25-29. Gilanizadeh, M., Zeynizadeh, B. Facile Conversion of Epoxides to 1,2-Diacetates with NaOAc•3H2O/Ac2O System. 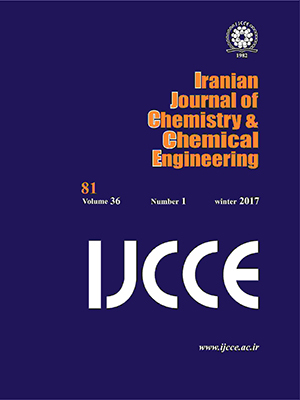 Iranian Journal of Chemistry and Chemical Engineering (IJCCE), 2016; 35(1): 25-29. Jacobsen E.N., Pfaltz A., Yamamoto H., "Comprehensive Asymmetric Catalysis", Springer-Verlag, Berlin Heidelberg (1999). Harrowven D.C., Pattenden G., "Comprehensive Organic Synthesis", Trost B.M., Fleming I.(eds. ), Pergamon, Oxford, Vol. 3, pp. 379-411 (1991). Erden, I., "Comprehensive Heterocyclic Chemistry II", Katritzky A.R., Rees, C.W., Scriven, E.F.V., eds., Pergamon, New York, Vol. 1a, pp. 97-171 (1996). Green T.W., Wuts P.G.M., "Protective Groups in Organic Synthesis", 4th ed., Wiley, New York, (2006). Evans R.M., Fraser J.B., Owen, L.N., Dithiols. Part III. Derivatives of Polyhydric Alcohols, J. Chem. Soc. 248-255 (1949). Ali S., Bittman R., Facile Diacylation of Glycidyl Tosylate. Chiral Synthesis of Symmetric-Chain Glycerophospholipids, J. Org. Chem. 53: 5547-5549 (1988). Swindell C.S., Patel B.P., Stereoselective Construction of the Taxinine AB System Through a Novel Tandem Aldol-Payne Rearrangement Annulations, J. Org. Chem. 55: 3-5 (1990). Fogassy G., Pinel C., Gelbard G., Solvent-Free Ring Opening Reaction of Epoxides Using Quaternary Ammonium Salts as Catalyst, Catal. Commun. 10: 557-560 (2009). Abdur Rahman M.; Fraser-Reid, B., Actinobolin via the Anomeric Effect, J. Am. Chem. Soc. 107: 5576-5578(1985). Fan R. H., Hou X. L., Tributylphosphine-Catalyzed Ring-Opening Reaction of Epoxides and Aziridines with Acetic Anhydride, Tetrahedron Lett. 44: 4411-4413 (2003). Azizi N., Mirmashhori B., Saidi M. R., Lithium Perchlorate-Promoted Highly Regioselective Ring Opening of Epoxides under Solvent-Free Conditions, Catal. Commun. 8: 2198-2203 (2007). Dalpozzo R., De Nino A., Nardi M., Russo B., Procopio A., 1,2-Diacetates by Epoxide Ring Opening Promoted by Erbium(III) Triflate, Arkivoc vi: 67-73 (2006). Ramesh P., Reddy N., Venugopal D., Subrahmanyam M., Venkateswarlu Y., Zeolite Catalyzed Ring Opening of Epoxides to Acetylated Diols with Acetic Anhydride, Synth. Commun. 31: 2599-2604 (2001). Das B., Saidi Reddy V., Tehseen F., A Mild, Rapid and Highly Regioselective Ring-Opening of Epoxides and Aziridines with Acetic Anhydride under Solvent-Free Conditions Using Ammonium-12-molybdophosphate, Tetrahedron Lett. 47: 6865-6868 (2006). Yadollahi B., Kabiri Esfahani F., Efficient Preparation of vic-Diacetates from Epoxides and Acetic Anhydride in the Presence of Iron(III)-Substituted Polyoxometalate as Catalyst, Chem. Lett. 36: 676-677 (2007). Moghadam M., Mohammadpoor-Baltork I., Tangestaninejad S., Mirkhani V., Shariati L., Babaghanbari M., Zarea M., Zirconyl Triflate, [ZrO(OTf)2], as a New and Highly Efficient Catalyst for Ring-Opening of Epoxides, J. Iran. Chem. Soc. 6: 789-799 (2009). Zeynizadeh B., Sadighnia L., One-Pot Catalytic Conversion of Epoxides to 1,2-Diacetates with Hydride Transferring Agents in Acetic Anhydride, Synth. Commun. 41: 637-644 (2011). Zeynizadeh B., Sadighnia L., A Green Protocol for Catalytic Conversion of Epoxides to 1,2-Diacetoxy Esters with Phosphomolybdic Acid Alone or Its Supported on Silica Gel, Bull. Korean Chem. Soc. 31: 2644-2648 (2010). Gilanizadeh M., Zeynizadeh B., 4Å Molecular Sieves Catalyzed Ring-Opening of Epoxides to 1,2-Diacetates with Acetic Anhydride, Curr. Chem. Lett., 4: 153-158 (2015).